You are here: Home / Blog / Combine Mad Libs and iMovies for the perfect party game! 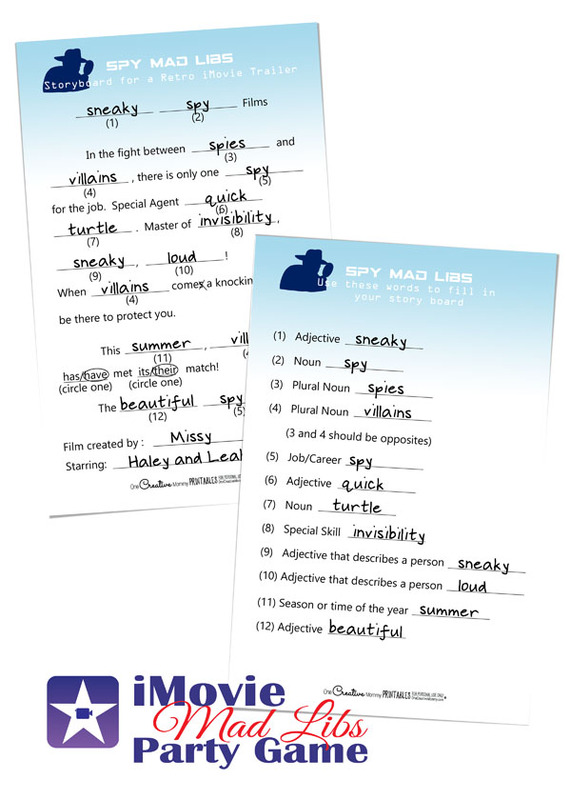 Combine Mad Libs and iMovies for the perfect party game! 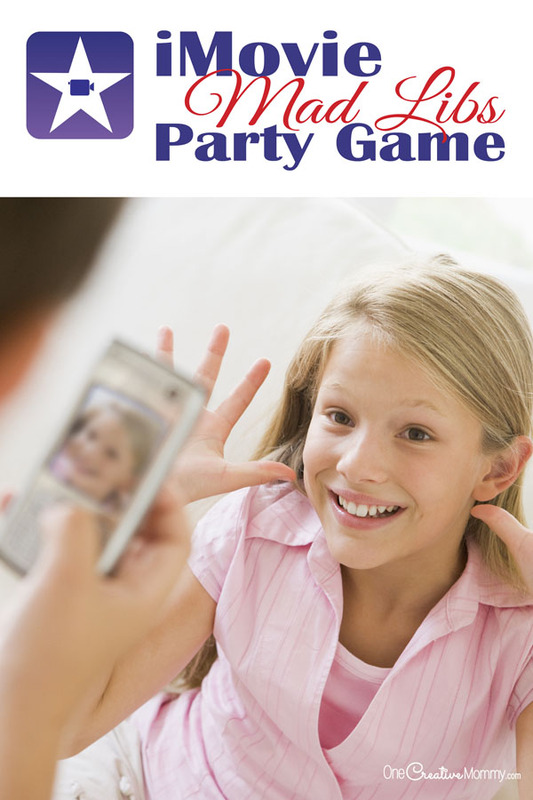 Crazy Fun iMovie Party Game! Remember Mad Libs? You get a form that asks you to list random nouns, adjectives and verbs, and then you plug those words into a script to make a silly story. As I watched my daughters create scripts for iMovie trailers, I realized it would be really fun to use Mad Libs with their movie scripts. 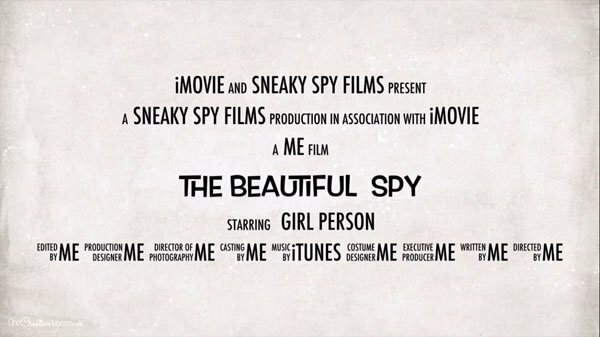 You know you want iMovie Mad Libs for your next party, right? Here’s what you do. Download the file by clicking the blue box with the three dots below. You get the Mad Libs script that goes perfectly with the Retro iMovie trailer and a bonus! 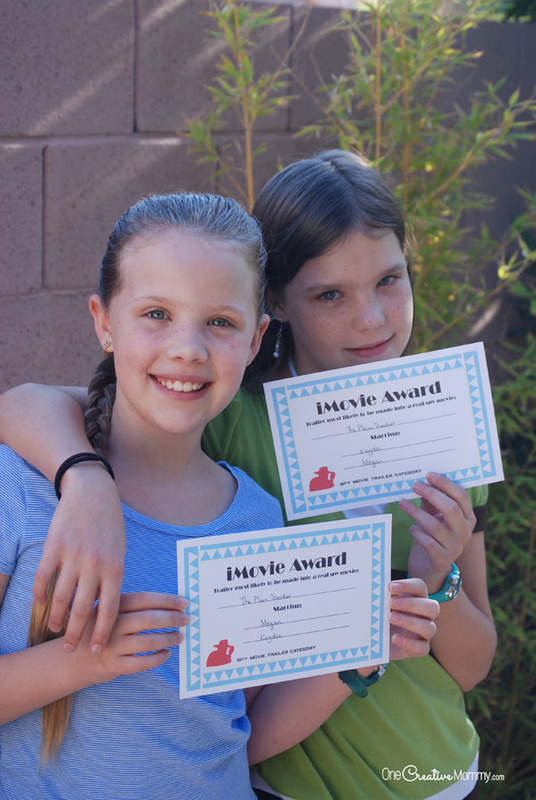 I’ve also included iMovie awards to give away at the party. More details on that after the download. Ready to play? Let’s get started! One iPhone, iTouch, or iPad for each team of two. The iMovie app should already be installed. One adult or older teenager to film each group. If the kids at the party are older, they can film themselves and ask for help whenever they both need to be in the film at the same time. 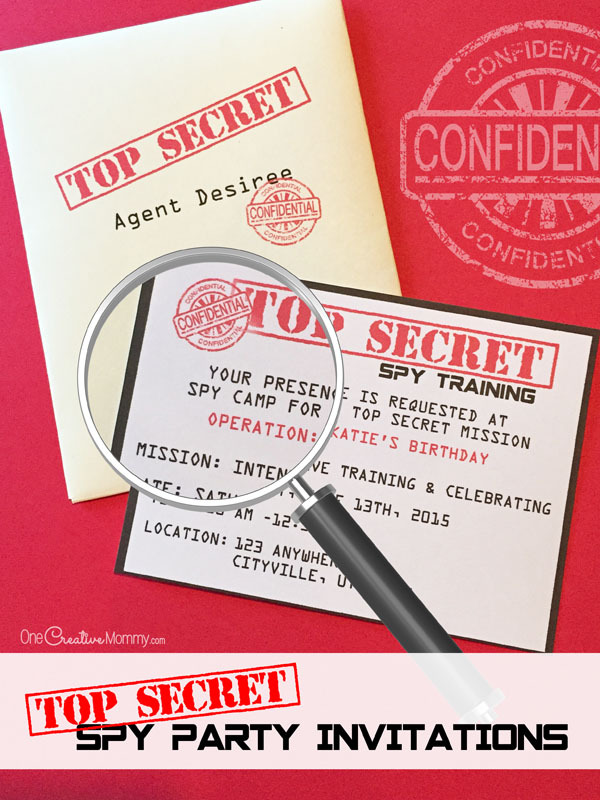 Costumes and props– optional, but definitely more fun! A pencil or pen for each team. As the teams finish filling out the first paper, give them the Mad Libs Storyboard page. Have the kids match the numbers from the first sheet to the numbers on the second sheet to fill the words into the story. I let the kids change one word if they want to. It’s up to you if you want to allow it. Sometimes the Mad Lib is too silly to make sense, and it’s nice to be able to make an adjustment. When the storyboard is complete, it’s time to make the movie! Depending on the age of the kids, you may want to have the adult edit the storyboard on the phone. (It’s much faster that way.) Just follow the storyboard in the original iMovie and make changes where necessary. While someone is working on the storyboard, the kids can work on costumes, props, and ideas for their movie trailer. (The younger the kids, the more help the adults will have to give with ideas for filming. Don’t be afraid to make suggestions, or the game could last a very long time! If you have invited adults to help you with the films, don’t forget to give them a crash course in using the iMovie app before the party. Creating these films will take longer than you think, but the kids are going to love it!! A few weeks later, we played this again at a party for 12-year-olds. It was another hit! Have a great time. I’d love to hear how your kids like the game. Thanks for stopping by today. For more party ideas, be sure to stick around and browse. The images below are linked, so click on them! This sounds so cool! I like educational games and will be checking out on this one. I know my son is going to enjoy and have a blast. Thanks! Thanks, Sharonoox. I hope your son has a great time with the game. Such a fun idea. So creative of you. Finding inexpensive ways to entertain the kids is wonderful. Thanks, Peter. It seems that young people love making movies of everything, so this game was a hit. Thanks, Denay. I didn’t think about it, but you’re right. This game doesn’t have to be just for kids. I really like the iMovie game. I’ve recently just purchased a MacBook! Hopefully I can play this game with my nephew! Thanks, Miranda. I hope you and your nephew love the game! This would be tons of fun! I’ll have to play with my kids. I think they’d have a blast. Wow. I like it. Your blog is very good. Thanks for sharing! This is such a fun idea. I will have to give iMovie Mad Libs a try. I am sure it will be a big hit. These game ideas sound great. These games would be great to play with my cousins’ kids. Thanks for sharing. It’s always great to find inexpensive ways to entertain kids. Lovely ideas. By the way, I really like the layout of your blog. We absolutely love Mad Libs! I give the kids a book every year in the Christmas stockings. This sounds so much fun. I had not heard about Mad Libs before. Such a great idea. This is adorable! I can’t wait to try this with my kids! 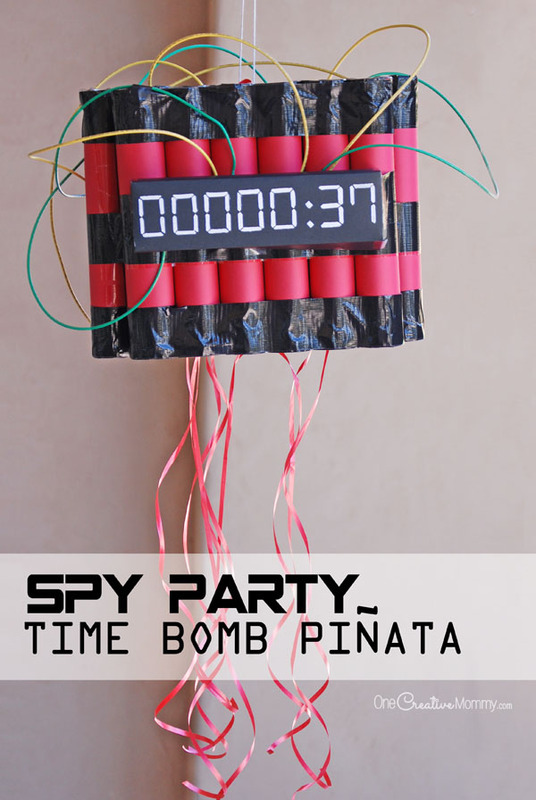 Now this is a fun party idea. 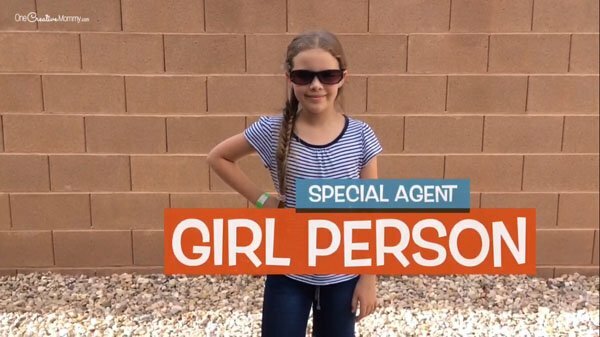 I love the concept of playing madlibs and creating a mini movie so fun and keepsake for memories. My son would absolutely love this type of app. 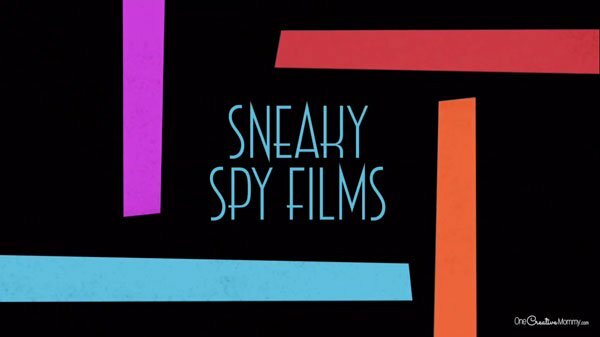 I love how funky and funny it is creating movies with your kiddos! This looks like such a fun idea! 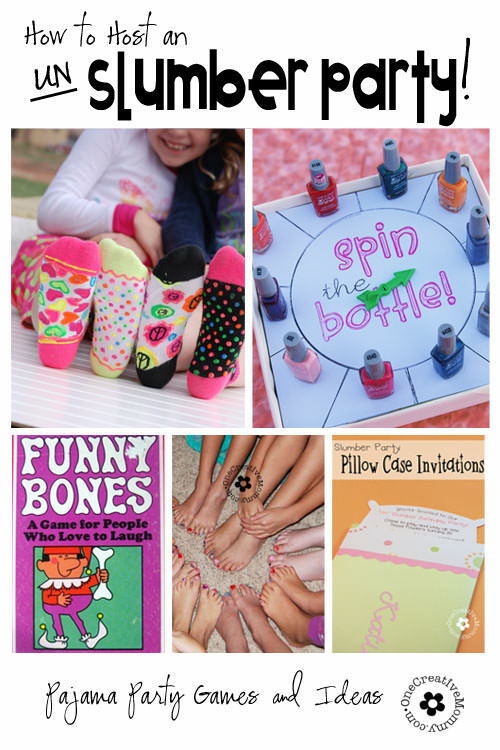 It’s so creative and would definitely keep kids entertained! I love it, thanks for sharing! Oh, what a fun idea! I will have to keep this is mind for later on.